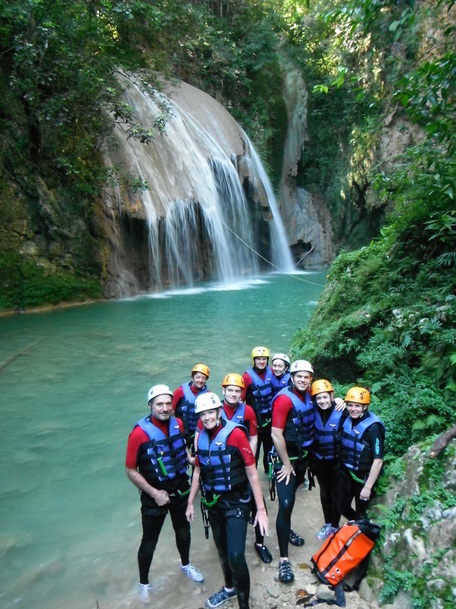 Tour Description: Canyoning differs to cascading in that it involves rappelling and is therefore slightly more technical and a little slower paced After pick up and the 45 minute drive to our base camp, we meet the other guides and get you geared up in wetsuit, harness, helmet and life preserver. A quick safety briefing is followed by 10 more minutes van time before arriving at the canyon entrance. The trip starts with a couple of easy jumps before we come upon the highlight of the day, the Magic Mushroom itself. 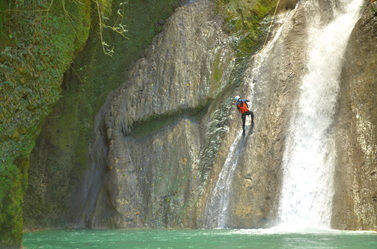 Two intense rappels are followed by some great jumps that can be walked around if you are just in it for the rappels. 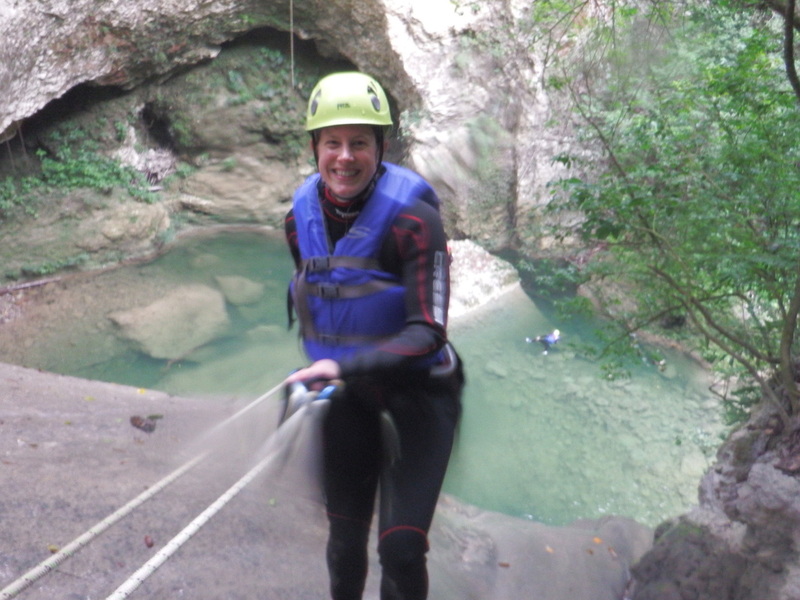 After a couple of hours in the river and a 20 minute hike out to the transport we're ready to head for lunch and the drive back to Cabarete, arriving at around 2:00pm. Included: Dominican lunch and all gear. 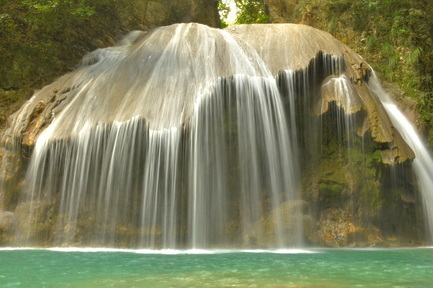 You need to bring tennis or river shoes, something to wear under wetsuit, a towel and dry clothes. Rated: Beginner/intermediate. With reasonable fitness previous experience is not necessary. Swimmers only! Minimum age 12 and must be accompanied by an adult. Tour pick up/drop off times. Return times are approximate depending on number of participants and fitness levels. Please note * denotes that a transport supplement applies, details of prices at the bottom of the page. Tours may not include transport costs from your location. See below for details. Any extra transport costs are payable in cash on the day of your tour. If you prefer not to book the transportation as listed below, please be at the Iguana Mama office in Cabarete no later than 7:45am.